The most populous metropolitan area in the world can be overwhelming for first-timers. Yet, linger there a while and you will encounter the true spirit of Tokyo, the city that gathers the past and future, traditional cultures and new technologies. Discover traditional tea ceremonies and gardens awash with springtime cherry blossom, a world apart from skyscraper-dotted Shinjuku. Tokyo is a surprising city, mostly due to its contrasts. In one minute you are lost in a skyscraper jungle, the next you are in quiet contemplation beside a carp pong in a peaceful garden. Tokyo has everything you can ask of a city: a rich, cosmopolitan dining scene, more cafes and bars than you could visit in a lifetime, fantastic public transportation and grassy parks. With its neon lights and insatiable appetite for trends, Tokyo is a city of consumerism. From Manga characters’ clothes to the very classy Prada store, the capital of Japan has many things to show. Hunt for electronic wizardry in Akihabara or traditional lacquer bowls and silk kimonos in Asakusa. Mingle with giant tuna to enjoy fresh sushi at Tsukiji Fish Market. 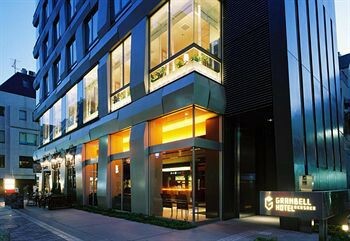 Located in Korean town of Shinjuku Haru Hotel is only 2 min walk from nearest station: JR Shin Okubo. It is very convenient for sightseeing Only 2min train ride to JR Shinjuku Station There are restaurants supermarket convenience stores nearby. Halal..
Hotel was constructed in 2010. Hotel was completely renovated in 2010. There are a total of 27 rooms on the premises. The property consists of 3 single rooms, 4 double rooms, 3 suites, 4 triple rooms, 5 quadruple rooms and 8 superior rooms. This attractive.. This hotel is located on the north side of Narita Airport. It takes 15 minutes by taxi or scheduled free shuttle bus (in the morning and eveining) from/to the airport. It takes approx. 60 minutes to central Tokyo by JR or Keisei line from Narita Airport..
Property Location With a stay at Khaosan Tokyo Laboratory in Tokyo (Asakusa), you&apos;ll be minutes from Nakamise Arcade and close to Sensoji Temple. 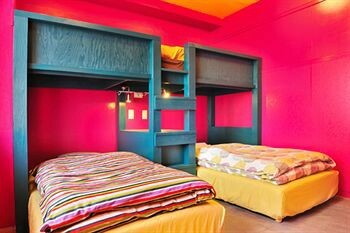 This hostel is close to Tokyo Sky Tree and Tokyo Imperial Palace.Rooms Stay in one of 16 guestrooms..
Accesible to the major town Akasaka, Nogizaka, and Roppongi. Convenient for both business, sightseeing, and even for the families. Facilities and service are well-received and the Chinese restaurant is also satisfied by the guests. Facilities Guest accommodation comprises 102 rooms. Services and facilities at the hotel include a restaurant, a bar, a transfer service and a laundry service. Wireless internet access in public areas allows travellers to stay connected. Those arriving.. The hotel is situated in Tokyo. It is located a 10-minute drive from the Tokyo metro station Otemachi Station. Tokyo Disneyland can be found within a 15-minute drive of the hotel. The Imperial Palace is a notable tourist destination which guests may wish.. The hotel is located at the eastern part, residential area of Tokyo. It takes only 1 minute walk from Keisei Koiwa station on Keisei Line. It takes approx. 25 minutes to Keisei Ueno station, which is terminal on Keisei Skyliner (Express train from Narita),.. Situated in the Kotobuki area of Taito-ku in Tokyo, the hotel provides easy access to central Tokyo. 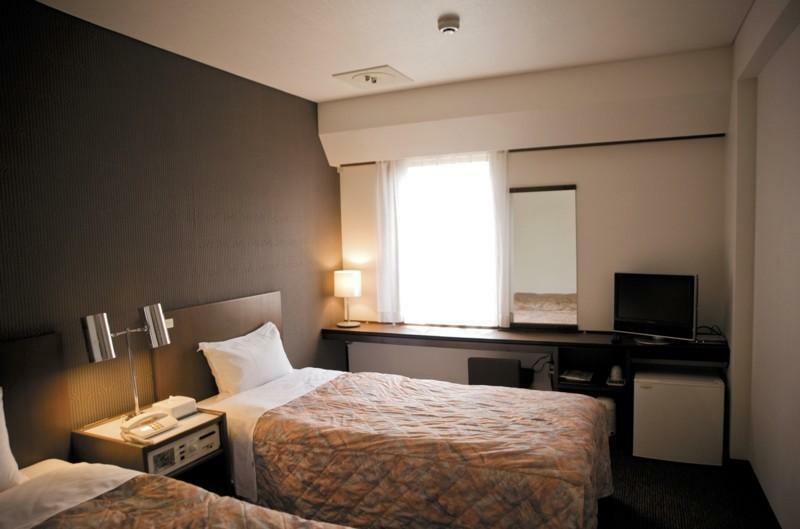 The city hotel is only 7 minutes' walk from Asakusa metro station on the Toei-Asakusa line. Narita International Airport is the closest airport to the.. 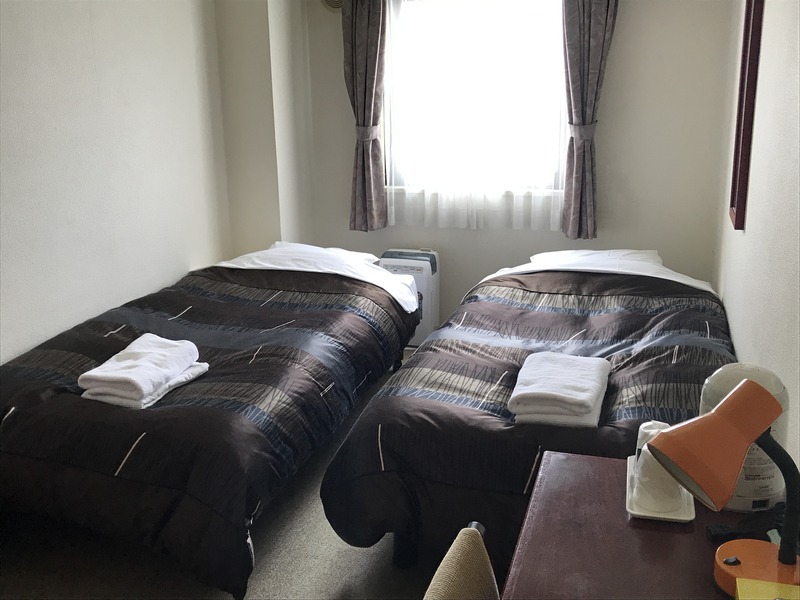 The hotel is located in the city centre of Tokyo.||All the 61 rooms in this 3 star hotel are equipped with hairdryers, safes and air conditioning.